Germfree Mobile Container Laboratories are ideal for international transport as they offer the flexibility of standard intermodal transport by sea, rail and truck (our 6M unit). Additionally, these units are equipped with retractable wheels. This provides more transport options, both by air and overland. 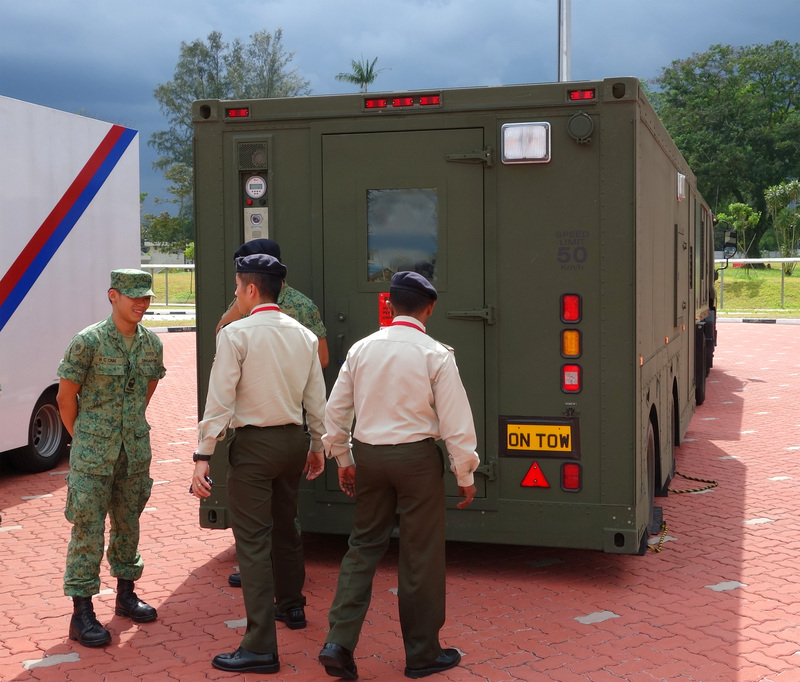 Our Mobile Container Labs are efficiently loaded onto C-130 cargo planes and other aircraft. 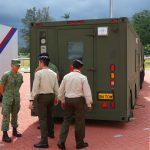 Once deployed, they can easily be pulled as a trailer locally or re-deployed to other sites. Germfree offers Mobile Container Laboratories in two sizes: Our 20 foot (6M) model conforms to ISO size standards for international containerized intermodal shipping. We also offer a model that is 24 feet (7M) long. Our Mobile Container Laboratories are easily moved anywhere in the world and, as with the rest of our line of Mobile Laboratories, they are designed to maximize space while maintaining the capacity to fully integrate any piece of laboratory equipment. Germfree Mobile Container Labs are complete functioning units and include on-board generators, HVAC systems and primary containment equipment. The lab itself is considered secondary containment. 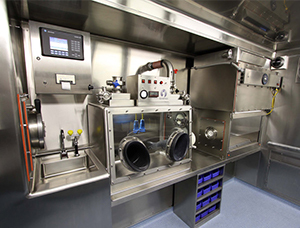 Germfree Mobile Container Labs also feature slide-outs to maximize lab space once in place. They also serve the home base, adding functionality when not deployed to remote sites. They are ideal for use in training programs and also provide surge capacity to the main facility. 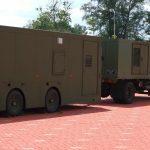 Transportability: These units can serve as a mobile solution when deployed with a flatbed truck. Also see Containerized Modular Labs: Germfree also manufactures Containerized Modular Labs. These units are also constructed using ISO shipping containers but do not include retractable wheels and are available in more sizes: 20’ (6M) and 40’ (12M) lengths, as well as custom sizes.